The UDI 818A HD Drone Quadcopter with 720p HD Camera is not just your basic drone quadcopter with a simple camera – this is so much more. Boasting advanced features like one button return to home abilities and a headless flight mode that allows the flier to forget about orientation, the UDI 818A HD is far ahead of the class. A 6 axis gyro stabilization system gives the quadcopter impressive stability through the air, and the remote also features one touch flips and rolls for showing off! The 720p HD camera captures video in 1280 x 720, 30 frames a second, meaning videos are crystal clear. After flying the UDI 818A HD, you won’t know how you ever did without it! Is the UDI 818A HD Drone Quadcopter with 720p HD Camera Worth Buying? With so many different drone quadcopters on the market, it can be difficult to choose one that blends performance and capabilities to the abilities of the user. So where does the UDI 818A HD fit in? 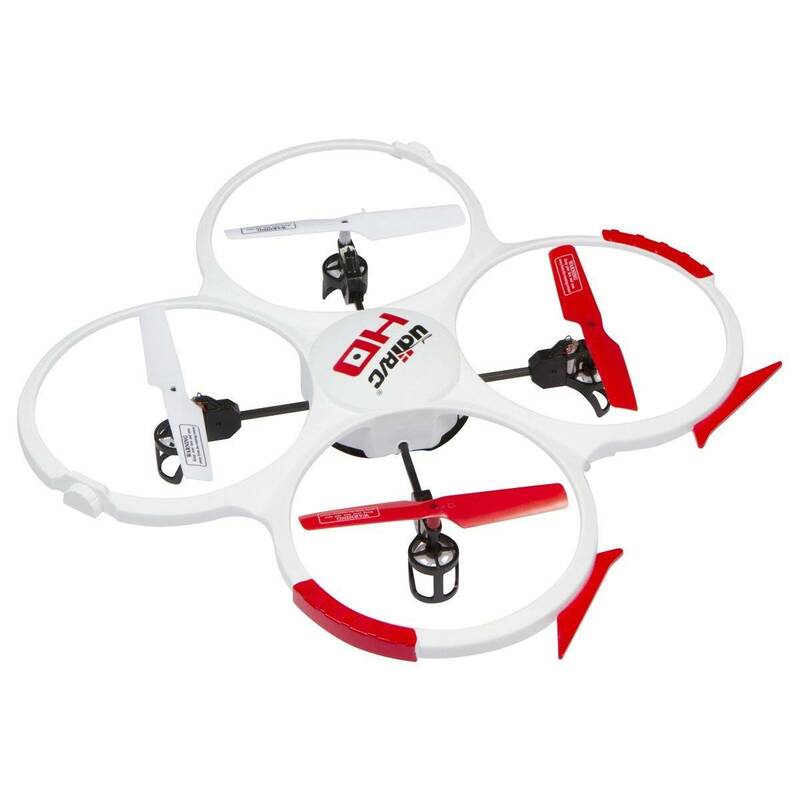 This is a stable, durable and reliable quadcopter that has been designed with convenience in mind. If you want to perform a flip, change speed mode or get the drone to return to its landing place, you can do so at the push of one button. With that in mind, this is the ideal drone for those looking for fun and leisure, rather than those looking for a hard-core drone. While the return to home feature is quite nifty, it is the headless flying mode that really grabs the attention. One of the trickiest aspects of drone flying for many novices is keeping track of what way the drone is facing, and as a result, what way to manipulate the controls. With quadcopters that can regularly spin around on the spot, keeping track of the orientation can be difficult. With headless flying, this doesn’t matter. The direction of the controller is what dictates the direction of the drone, providing an elegant solution. With a flying time of 6 – 8 minutes and a charge time of 60 – 90 minutes, the UDI 818A HD is more suited to the back garden and close to home use than it is elsewhere, but that is not to say that this is not a fantastic quadcopter. It is well-made, durable, and could not be simpler to use. Novices can pick up the controls quickly, and the various one-touch functions are extremely forgiving. All in all, this is a perfect drone for those looking for an amazing camera, easy controls and fantastic stability in the air. Recommended.